April 25, 2016 April 27, 2018 - by Gold Cochin - 3 Comments. Giving treats to your chickens should be fun, not a boring daily obligation. Preparing different kinds of treats for your chickens can be a fun family activity and something that can easily become a habit. We at the typesofchicken.com want to help our readers make this activity as fun for them as it is for us. And that is why we decided to share some of our favorite recipes and ideas concerning this subject. We will give you an article on how to prepare fun treats with corn. Mix live worms with some corn put it in your feeder or whatever method you use for feeding your chickens. You can also put it right across your chickens as far as your chicken run goes and aim it towards them. In no time your chickens will run at it and enjoy the whole process. You can also add black oil sunflower seeds or sesame seeds for a variety in the taste. 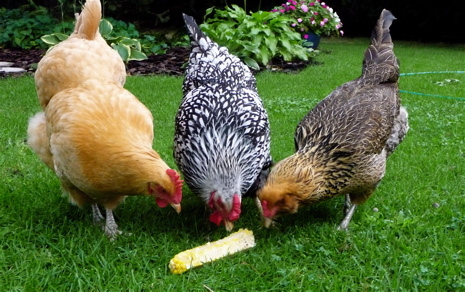 Preparing a nice batch of popcorn for your chickens is easy and they enjoy pecking at it. Do NOT give your chickens microwave popcorn. 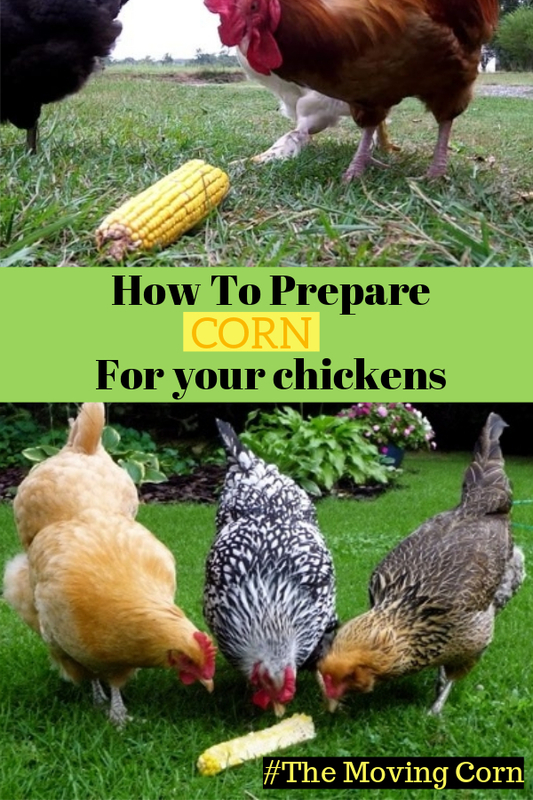 To prepare the perfect batch of popcorn for your chickens you will need corn (the one that pops) breadcrumbs and sesame seeds. You will not need oil or anything liquid. Put them all in the same pot and before you put it on the heat make sure you close it, get a cooking glove or a towel and hold the handles of the pot. As soon as the first corn pops shake the pot in that way that the pot stays on the heat. When the sound of popping stops remove the pot then remove the lid of the pot. Wait for the mixture to cool off a bit and give it to your chickens to enjoy. This is a good treat for chickens especially during the winter if served warm. 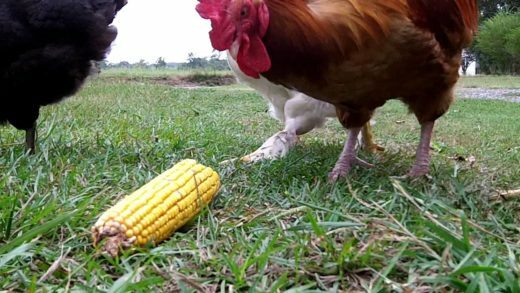 Boiled corn sticks are fun for a chicken to peck at and play with. Boil as much as corn sticks as you need for your flock but boil them only in water do not use oil or any spices. Once the corn sticks are done, pour canned tuna on top of them. You can connect the boiled corn sticks with a string and put it high enough so when the chickens peck at it – it will move. Whatever method of giving treats to your chickens you use, make sure that you can maintain the area where your chickens live. Cleaning up after your chickens had their treat is very important in order to prevent flies, predators and reduce the chances of your chickens getting sick. What will i do so that it wll be publish? I drive a wire steak skewer and hang it so it bounces while they eat it! I doesn’t touch the ground keeping it clean. I used to make homemade corn muffins with crumbled egg shells, and frozen mixed veggies as a treat for my cockatiels. It provided protein of the egg, calcium from the egg shells, vitamins from the veggies and instead of oil, I used applesauce for sweetness. I made big batches and froze the muffins till ready to use. Would this work for chickens too?